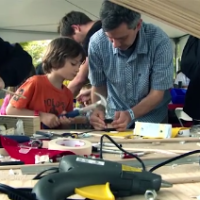 Trondheim, Norway's technology hub, will host its first mini Maker Faire. 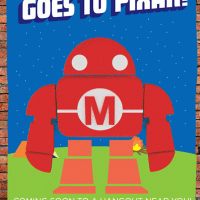 The Pstereo Mini Maker Faire will be held within a city festival. There will be about 10 makers for this first-time fair with more than 500 attendees expected. This Saturday, August 17, North Carolina makers are converging upon the Holly Hill Mall from 10a.m. to 6p.m. 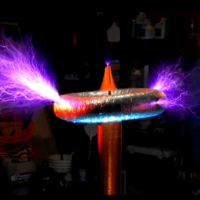 to share their what they make at the second annual Burlington Mini Maker Faire. 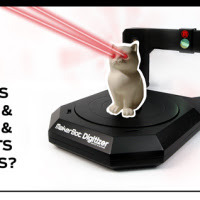 Subscribers to the MakerBot mailing list were tantalized by a brief product teaser advertising the MakerBot Digitizer, a new and very polished-looking 3D scanner that creates 3D design files of small objects. 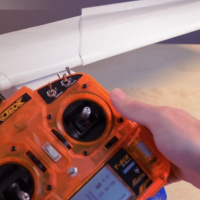 All you do is place the item on the scanner and it is rotated and scanned with lasers. Maker Camp: Going out With a Bang! Maker Camp, a six-week virtual summer camp for teens, concludes tomorrow and it's been a fun, wild, and, we hope, educational ride. Our last show starts at 11am PDT on Google+ and it promises to be a great one. To wrap things, up we're taking a field trip to the magic world of Pixar, makers of movies like Toy Story, Monsters Inc., WallE, Monster University, Cars, and Finding Nemo. Maybe you've heard of them. But that's not all. Another highlight of the field trip will be a virtual visit from U.S. Secretary of Education Arne Duncan who will speak about the future of STEM education and the importance of programs like Maker Camp to support the initiative.